Be sure to scroll down to enter the giveaway! Author Laura Johnston Laura Johnston lives in Utah with her husband and two children. Growing up with five siblings, a few horses, peach trees, beehives and gardens, she developed an active imagination and always loved a good story. She fell in love with the young adult genre both through her experience in high school as well as her job later as a high school teacher. Laura enjoys running, playing tennis, sewing, traveling, writing, and above all, spending time with her husband and kids. Any book where the main character is grieving the loss of a father instantly grabs my heart. Sienna is struggling with guilt over the death of her father and pressure from her mother to be a success- but on her terms. It was a pleasure to read the developing friendship and romance between Austin and Sienna, with the first person point of view switching between the two characters. In fact, I'd say the story equally focuses on Austin and his struggles as well- feeling like he's from the wrong side of the tracks, falling in love with a girl who won't break up with her boyfriend back home, and holding on to anger towards his own father. It was easy to experience the emotions, the ups and downs of Austin and Sierra, even though I wish they would be smarter and make things easier on themselves! This is a clean young adult romance (despite what the cover infers) and the only thing I didn't like is the fact that Sienna is essentially cheating on her boyfriend with Austin and leading Austin on, yet doesn't see anything wrong with it. The writing is excellent and the story only deepens as the summer draws to a close, leaving the characters with resolution and the reader with a satisfying ending. $50 Amazon Gift Card or Paypal Cash Ends 10/13/14 Open only to those who can legally enter, receive and use an iTunes Gift Code or River Street Sweets Gift Card. Winning Entry will be verified prior to prize being awarded. No purchase necessary. You must be 18 or older to enter or have your parent enter for you. The winner will be chosen by rafflecopter and announced here as well as emailed and will have 48 hours to respond or a new winner will be chosen. This giveaway is in no way associated with Facebook, Twitter, Rafflecopter or any other entity unless otherwise specified. The number of eligible entries received determines the odds of winning. Giveaway was organized by Kathy from I Am A Reader and sponsored by the author. VOID WHERE PROHIBITED BY LAW. 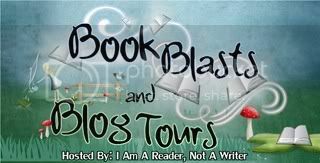 Check out the Book Blast for Rewind to You by Laura Johnston. This is a clean Young Adult novel, and I'll be posting my review soon! BookBlast Giveaway $75 Amazon Gift Card or Paypal Cash Ends 10/5/14 Open only to those who can legally enter, receive and use an iTunes Gift Code or River Street Sweets Gift Card. Winning Entry will be verified prior to prize being awarded. No purchase necessary. You must be 18 or older to enter or have your parent enter for you. The winner will be chosen by rafflecopter and announced here as well as emailed and will have 48 hours to respond or a new winner will be chosen. This giveaway is in no way associated with Facebook, Twitter, Rafflecopter or any other entity unless otherwise specified. The number of eligible entries received determines the odds of winning. Giveaway was organized by Kathy from I Am A Reader and sponsored by the author. VOID WHERE PROHIBITED BY LAW.